Reflecting light and style into your home, the functional and fashionable drawer unit will make a striking addition to your home furniture. The four drawer unit gives you ample storage helping to keep your home organised and tidy. Made using strong and reliable MDF, the cabinet has a chic mirror finish that is enhanced by a stainless steel edge and stylish crocodile black leather effect detail. 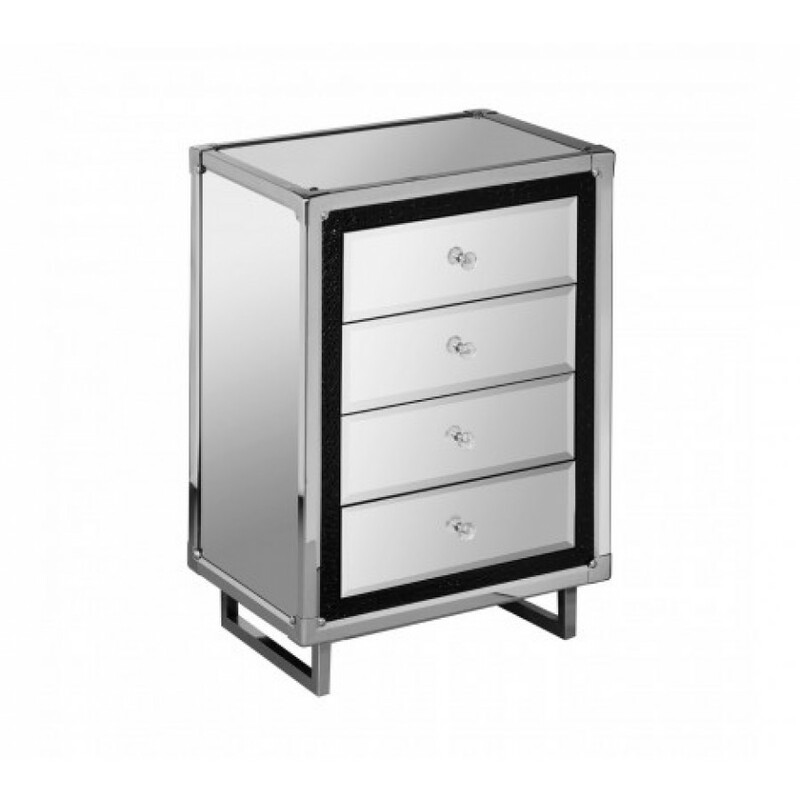 Each drawer has a beautiful clear diamante handle allowing you to easily access the items within them. Stainless steel legs are durable and ensure the cabinet remains stable. Ideal for placing in your bedroom or living area, the four drawers are perfect for your household essentials. A smooth, sleek surface is ideal for placing plants, lamps, flowers and photos on, helping to make your home your own. The beautiful and striking four drawer unit would complement a contemporary setting giving you style and practicality everyday.